Two Palestinians were shot, one with live fire, and up to 60 protesters suffered excessive tear gas inhalation when Israeli forces violently suppressed the Bilin weekly march on Friday. Hundreds of Palestinians are reported to have taken part in the march against the separation wall, also marking Palestinian Prisoner's Day. 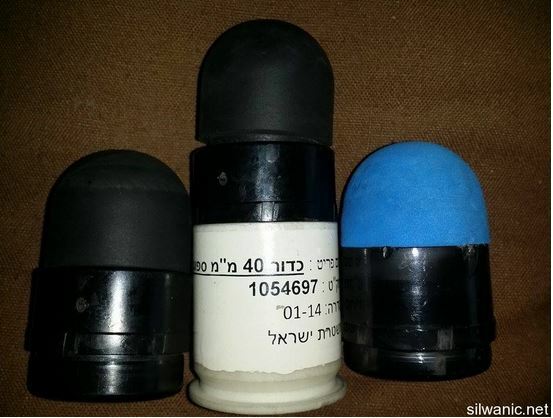 Israeli forces fired live and rubber-coated steel bullets at the protesters as well as tear-gas canisters. Ahmad Mohammad Mansour, 17, was shot in the chest with a live bullet and was taken to the Palestine Medical Complex in Ramallah, while Munther Ameera was shot with a rubber-coated steel bullet in the lower extremities and treated on the scene. Among those who suffered excessive tear gas inhalation were Palestinian Minister of Prisoners' Affairs Issa Qarage, Minister of Agriculture Walid Assaf, lawmaker Mustafa al-Barghouthi, and Palestinian journalist Linda Shalash. Al-Barghouthi said during the protest that the sacrifices of prisoners would not be wasted, and that Palestinians will continue their just struggle against Israel. In response to the protests, the village has been a target of frequent raids and arrests by Israeli forces. Last week Israeli forces raided Bilin before the demonstration and arrested Samir Mohammad Burnat, 40. Israeli forces have entered the village every Friday in recent months, Bilin resident Jaber Abu Rahmeh told Ma'an last week. "It brings me back to the past," sad Abu Rahmeh, referring to the period of heaviest clashes between Israeli forces and village residents in 2007-09 when Israeli forces entered the village nearly every day. Abu Rahmeh's family has paid a heavy price for Israeli presence in the area, with two family members fatally injured during Bilin's non-violent marches. Bassem Abu Rahmeh died after he was hit in the chest with a tear gas canister in 2009, and Jawaher Abu Rahmeh died from excessive tear gas inhalation in 2010. 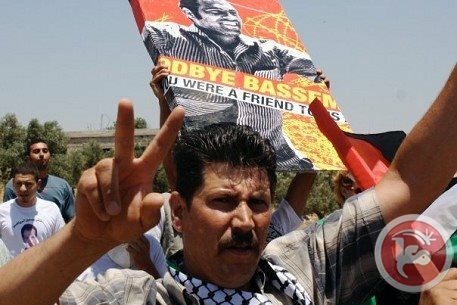 The Abu Rahmeh family paid tribute to Bassem's grave on the way to the weekly demonstration on Friday, as April 17 marks 6 years since his death. Six years later, both Bilin residents and rights groups have yet to see proper measures taken within the Israeli legal system to investigate his death, and have their land remains sealed behind the separation wall. "Abu Rahmeh was killed by shooting carried out by IDF soldiers that was negligent at best," attorneys Emily Schaeffer Omer-Man and Michael Sfard wrote in a petition against a court decision to close the case, according to Israeli human rights group B'Tselem. "The case file of the investigation of the circumstances of his death has been wallowing for years under unpardonable foot-dragging by the investigative and prosecutorial authorities." In response to the attorneys' argument that basic investigative acts have never been carried out in the six years since Abu Rahmeh's death, Justice Menny Mazuz determined April 1 that the State must submit its response to the petition by May 25. Israel's military prosecutor general decided to close the investigation into his death in September 2013 for lack of evidence, despite the fact that three video segments filmed during the protest prove that Abu Rahmeh did not act violently and did not endanger the soldiers in any way, B'Tselem says. Other soldiers in the same video can be seen firing tear-gas canisters directly at protesters in the presence of senior officers and in complete contravention of the open-fire regulations. The army had decided to open an investigation into Abu Rahmeh's death in 2010 after a team of international experts found its forces had fired the tear gas in violation of regulations. In 2011, the separation wall in Bilin was partially rerouted in response to international condemnation. However, weekly demonstrations continue every Friday as the wall still cuts through village lands, separating residents from their property, and nearby settlements continue to grow at the village's expense. Five Palestinians were shot and dozens suffered excessive tear gas inhalation when Israeli forces violently suppressed protests marking Palestinian Prisoner's Day across the West Bank on Friday. In Nilin village, west of Ramallah, three Palestinians were shot with live rounds and a teenager was hit in the mouth with a rubber-coated steel bullet, witnesses said. Dozens of locals and activists participated in the march before Israeli forces dispersed it by firing tear gas canisters and live and rubber-coated steel bullets. In Bilin village, west of Ramallah, two Palestinians were shot, one with live fire, and up to 60 protesters suffered tear gas inhalation. Israeli forces also violently dispersed a protest in al-Masara village south of Bethlehem, injuring several with bruises. Israeli forces deployed at the village entrance reportedly prevented the protesters from reaching confiscated lands and assaulted them. The clashes across the West Bank broke out as protesters marked Palestinian Prisoner's Day, honoring more than 6,000 Palestinians in Israeli jails. Senior PLO official Hanan Ashrawi on Friday marked Prisoner's Day by demanding that Israel end its "captivity" of the Palestinian people under occupation. "Today, we honor and express our solidarity with all Palestinians who have been and continue to be imprisoned in Israeli jails," she said in a statement. "We commend their steadfastness, courage and determination in defiance of Israel's military occupation and system of enslavement and apartheid." Since Israel's 1967 occupation of the West Bank, East Jerusalem and Gaza, over 800,000 Palestinians have been detained by Israel's military, while over 60 Palestinians have died in Israeli jails, the PLO says. Over 70 percent of Palestinian families have had at least one relative detained at some point, according to the UN. 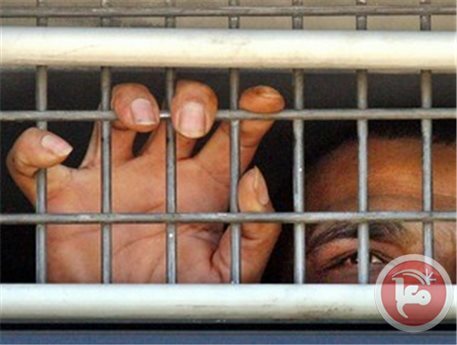 Fourteen Palestinian MPs and 20 journalists are currently imprisoned by Israel, with over 450 Palestinians held without trial for indeterminate periods under administrative detention. "We call on all members of the international community to act on the basis of justice and human rights and bring Israel to compliance for its willful breach of the rights and lives of Palestinian political prisoners," Ashrawi added. Late Thursday, President Mahmoud Abbas marked Palestinian Prisoner's Day by saying that any future peace agreement must free all Palestinian prisoners. During a televised speech, Abbas emphasized that continued Israeli policy regarding frequent detention of Palestinians is not conducive for creating a plausible environment for future peace. "It is time for decision holders in Israel to realize that jails, settlement, confiscating lands and withholding holding PA tax funds will only lead to more extremism and keep us from reaching what we seek, which is a just peace based on ending occupation." Three Palestinian citizens sustained wounds afternoon Friday after they were shot by the Israeli occupation forces (IOF) east of Gaza’s Khan Younis city. The citizens Mohamed Abu Amer, Khalil al-Kilani, and Alaa Abu Amer sustained injuries in their lower limbs after they were shot by the IOF in southern Gaza, local medics told a PIC correspondent. The three casualties were rushed to the hospital to be treated for the reportedly moderate wounds. Other Palestinians were injured by IOF gunfire as they gathered on Friday in their agricultural lands near the border fence. The IOF troops have launched incursions and unleashed barrages of gunfire on the outskirts of eastern Gaza, in a renewed violation of the Cairo-brokered ceasefire deal struck in August. A young Palestinian man was shot in the eye by an Israeli rubber-coated metal bullet, on Wednesday evening, and three others shot in the legs, in the el-‘Eesawiyya town, south of the Al-Aqsa Mosque, in occupied East Jerusalem. The Wadi Hilweh Information Center in Silwan (Silwanic) has reported that Suleiman Mahmoud at-Tarbi, 20, was walking in the town when the soldiers invaded it, and clashed with local youths. Member of the Follow-up Committee in Silwan, Mohammad Abu Al-Hummus, said at-Tarbi left his home heading to a local shop, and had no idea the soldiers were invaded the town. He added that at-Tarbi came face to face with the soldiers before one of them pointed his rifle at him and fired; the rubber-coated metal bullet struck the Palestinian in the eye, before the soldiers assaulted him. The young man was later moved the Hadassah Ein Karem Israeli hospital in Jerusalem for treatment, while Israeli army is still claiming he was participating in the clashes. Three young men were injured in their legs after the soldiers fired rubber-coated metal bullets at them. The soldiers also fired at Palestinian cars shattering the front shields of three vehicles. 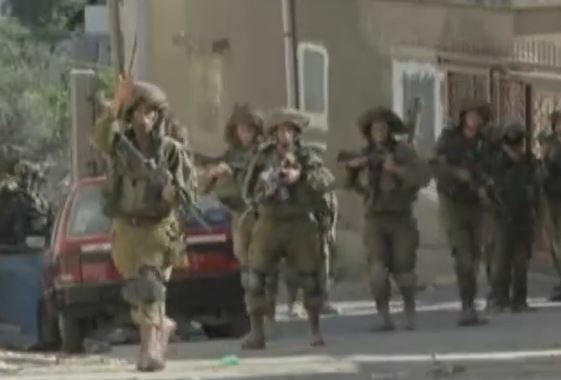 Earlier on Wednesday, soldiers invaded the Shu’fat refugee camp in Jerusalem, and clashed with dozens of local youths. The soldiers invaded the camp just as schoolchildren were leaving school, and fired gas bombs, causing dozens of suffer the effects of tear gas inhalation. The soldiers also invaded an under construction residential building, and searched it; the building is close to the military roadblock installed by the soldiers on the entrance of the camp. 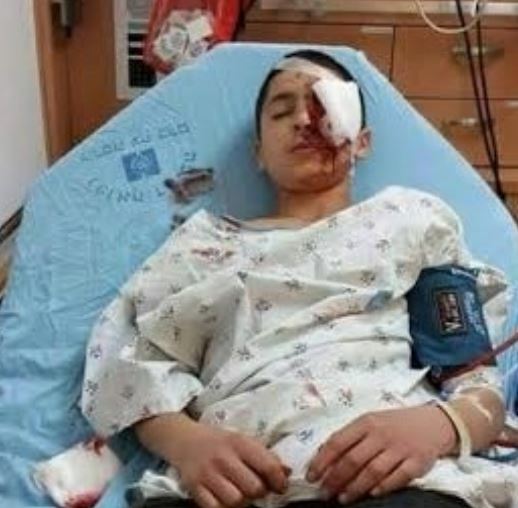 On March 31, a Palestinian child identified as Zakariyya al-Joulani, 13 years of age, lost his left eye after being shot by an Israeli rubber-coated metal bullet while walking back home from school in Silwan. His father said that Israeli soldiers occupied the rooftop of a multi-story under construction residential building and opened fire at schoolchildren walking back home. Eyewitnesses confirmed to Silwanic that the shooting was not as a result of clashes as the situation was calm when it took place. Israeli soldiers invaded, on Thursday morning, the Deheishe refugee camp, south of the West Bank city of Bethlehem, and clashed with local youths; one Palestinian was injured, and many suffered the effects of tear gas inhalation. The army also kidnapped three children in Betunia, near Ramallah; nine Palestinians injured. 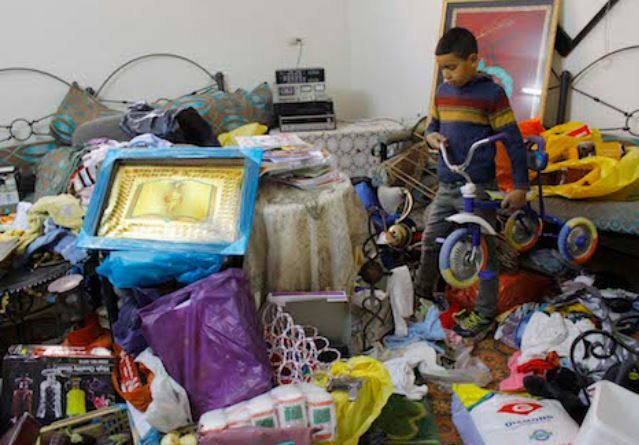 The soldiers invaded the Deheishe refugee camp from different directions, and stormed the family home of Ahmad Sami al-Ja’fary, before searching it and ransacking its property. Ahmad was not home during the attack, and the soldiers handed his family a military warrant ordering him to head to the Etzion military base for interrogation. Soldiers also invaded the home of Jamal and Sami al-Ja’fary, and occupied the rooftop of the family home of Jihad al-Ja’fary, who was shot and killed there by Israeli army fire during dawn hours of February 24 2015. In related news, Israeli soldiers kidnapped three Palestinian children in Betunia town, west of the central West Bank city of Ramallah, and took them to an unknown destination. Clashes also took between the soldiers and local youths in the town, close to the nearby ‘Ofer Israeli prison; medical sources said nine Palestinians were injured. A large Israeli military force broke into a number of neighborhoods in the southern West Bank city of al-Khalil on Wednesday. No arrests were reported during the raid. The Israeli troops were deployed in big numbers at the northern entrance to the governorate and the main road linking between the city and neighboring town of Halhul, local sources said. On the other hand, dozens of settlers gathered Tuesday evening in the city as a prelude to re-build a synagogue to the south of the city at the expanse of local residents’ lands. The synagogue was earlier destroyed after the Israeli Supreme Court ordered its demolition for being established on a Palestinian local family’s private land in an effort to force them off. Despite the court’s demolition order, settlers of Kiryat Arba tried more than once to rebuild the synagogue under Israeli forces’ protection. Israeli naval forces opened fire at Palestinian fishing boats off the coast of Gaza City Wednesday morning. Fishermen told Ma'an that Israeli forces had fired at several fishing boats working in the area, and that no injuries were reported. Witnesses added that Israeli F16 warplanes were flying at low altitude at the time. An Israeli army spokeswoman did not have immediate information and told Ma'an she would look into the incident. Wednesday's incident comes just one week after Israeli forces shot and injured Palestinian fisherman Khalid Zayid with a rubber-coated steel bullet while he was working off the coast of Beit Lahiya. 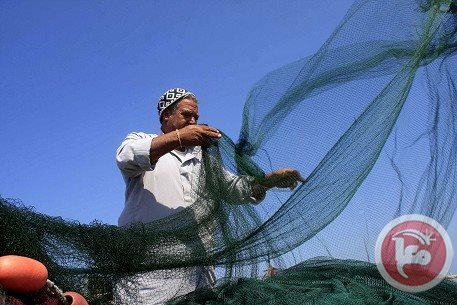 Palestinian fishermen continue to be targeted by Israeli forces, facing near daily harassment and interference with their work. As part of last summer's ceasefire between Israel and Palestinian militant groups, Israel agreed to expand the fishing zone off Gaza's coast, allowing fishermen to sail as far as six nautical miles from shore, and to continue to expand the area gradually. Despite this agreement, 29 attacks by Israeli forces on Palestinian fisherman were reported between Sept. 1 2014 and March 15 2015, by Gaza-based watchdog al-Mezan Center for Human Rights, however due to the normalcy of such incidents, attacks often go unreported. The center also said that 49 fisherman had been detained, 17 injured, and 12 fishing boats confiscated in the same period. On 7 March, Tawfiq Said Abu Rayala, 32, was killed while fishing on his vessel within the permitted boundaries of the buffer zone line, which according to Israel is currently six nautical miles. Despite this, Israeli naval forces shot at and killed Tawfiq with live ammunition. Two fishermen were killed in the months leading up to Abu Rayala's death, marking the fatal risks Palestinians face on a daily basis to make a living off Gaza coast, which has been under naval blockade by Israeli forces since 2007. Israeli soldiers invaded various parts of the northern West Bank district of Nablus, stormed and violently searched dozens of homes, and kidnapped 27 Palestinians, including a journalist. The army also kidnapped three Palestinians in the West Bank district of Bethlehem. The Nablus office of the Palestinian Prisoners Society (PPS) said dozens of armored Israeli military jeeps invaded Nablus, after sealing off several neighborhoods, and nearby towns, and broke into dozens of homes before violently searching them, causing excessive property damage. The sources said the soldiers kidnapped Mona Abu Bakr as-Saeh, Husam Bastamy, Abdullah al-‘Aker, Ziad Mreish, Sa’ad Khadriyya, Amjad Abu Ghosh, Nidal Abu Rmeila, Sa’id Dweikat, Wajih Abu ‘Eadeh, Omar Issa Abdul-Wahab, Ahmad Tawfiq Sawalha, Samih Oleiwy, Anan Fattouh, Sami al-‘Aasy, Amjad Zamel, Jasser Abu Hamada, Bassem Abu Jneid, Fares Sawalma, Ghannam Sawalma, Bara’ Yahya Ayyash, Ghassan Khaled, Ghassan al-Jarf, Abu Hamza al-Jarf, Sami al-‘Aasy and journalist Amin Abu Warda. In addition, soldiers invaded Husan town, west of Bethlehem, broke into and searched several homes, and kidnapped two teenagers identified as Rayyan Eyad Hamamra, 17, and Mohammad Jamal Zaghoul, 16 years of age. 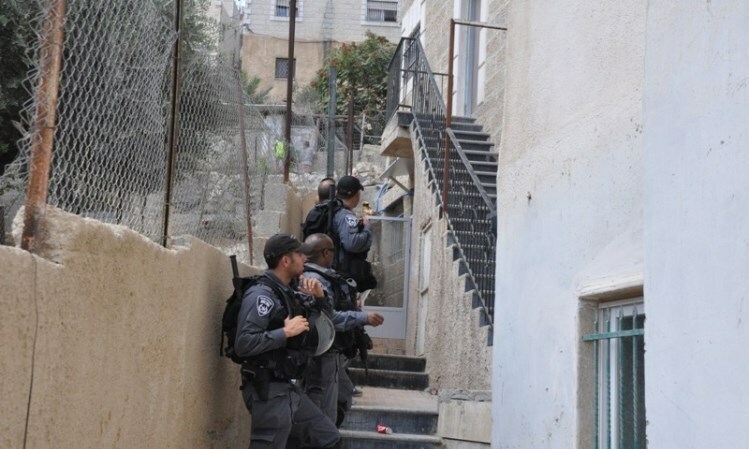 Also in Bethlehem, soldiers invaded Doha town, and kidnapped a woman, identified as Nisreen Mohammad Hamida, 31, after storming and searching her home. The Bethlehem office of the Palestinian Prisoners Society said the kidnapped woman is a mother of three children, and that the soldiers violently searched the home, terrifying her children, and took her to an unknown destination. 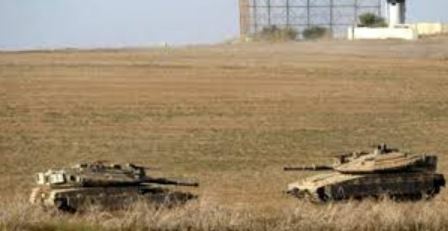 A number of Israeli military vehicles carried out, on Wednesday morning, a limited invasion into areas east of Rafah and Khan Younis, in the southern part of the Gaza Strip. Media sources in Gaza said several armored vehicles, and four military bulldozers, invaded the an-Nahda neighborhood, east of Rafah, and moved towards the northern part of the district before bulldozing lands in the Sharab al-‘Asal area, east of the al-Fakhary area, east of Khan Younis. 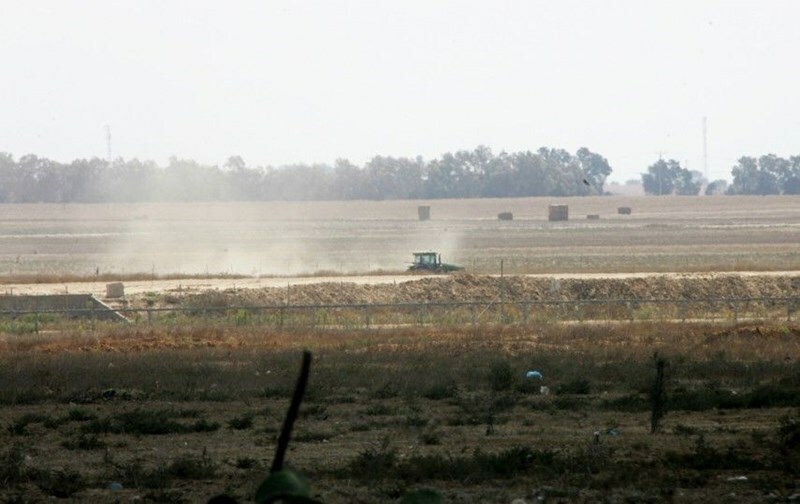 The soldiers also opened fire on Palestinian agricultural lands near Abu Reeda area, southeast of Khuza’a area, east of Khan Younis; no injuries were reported, but the farmers had to leave their lands seeking shelter, and fearing additional Israeli violations, and escalation. It is worth mentioning that Israeli fighter jets also flew over different areas of the coastal region, repeatedly breaking the sound barrier, and causing panic among the residents, especially the children.